Actility, the industry leader in low power wide area networking, today announces a major upgrade to its ThingPark LPWA network platform. The enhanced version 4.0 brings network-based geolocation, enabling tracking and geofencing, advanced radio optimization technology to maximize device battery life and network capacity; solutions to streamline onboarding of devices for suppliers and network operators, and an improved suite of tools for monitoring and visualizing message flows in the LPWA network. “ThingPark 4.0 represents a significant step forward for our carrier-grade IoT platform,” says Actility Founder and CTO Olivier Hersent. “The new network-based geolocation capability is the headline feature: we are reaching record-breaking power and cost performance, which will enable a wide variety of new use cases for any customer who wants to locate or track assets, animals or people. The increasing maturity of the platform is clearly demonstrated by the release of tools designed to make it simpler and easier for our customers to manage and optimise large scale commercial deployments of ThingPark-enabled LPWA networks,” Hersent adds. Alongside the latest ThingPark platform capabilities, Actility is launching ThingPark Market, a web based e-commerce platform through which partners in the ThingPark ecosystem can promote and sell their ThingPark Approved products to registered buyers seeking to build LPWA IoT solutions. The marketplace is open to registered sellers worldwide today, and will be available to buyers in Europe in November. Global buyers will be enabled during 2017. 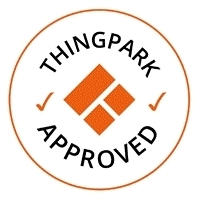 ThingPark Market will also enable the procurement of trusted products and applications thanks to the ThingPark Approved program. Demonstrating the growing maturity and traction of the ThingPark ecosystem, the Partner program offers new benefits to developers and device makers. ThingPark Explorers can trial the ThingPark development platform free of charge. The program is also launching several activities aimed at developers, including a dedicated online community and developer events. On 31st October, ThingPark will co-animate Swisscom’s Low Power Network Boot-Camp in Zurich, Switzerland. ThingPark has also partnered with several start-up incubators in Paris such as l’Usine IO, Le Village By CA, Numa, Ecole 42… to provide Demo Hubs as well as organizing meet-ups.